Somewhere in the world there may be an interview question where the candidate is asked how many things this image could be... An ECG trace? Climate graph pairing rainfall and humidity? Underwater depth and biological life charted against each other? Macchu Picchu? I have taken off all of the numbers so you can’t see what this rider, an elite female, recently achieved, and for the purposes of today it doesn’t really matter... 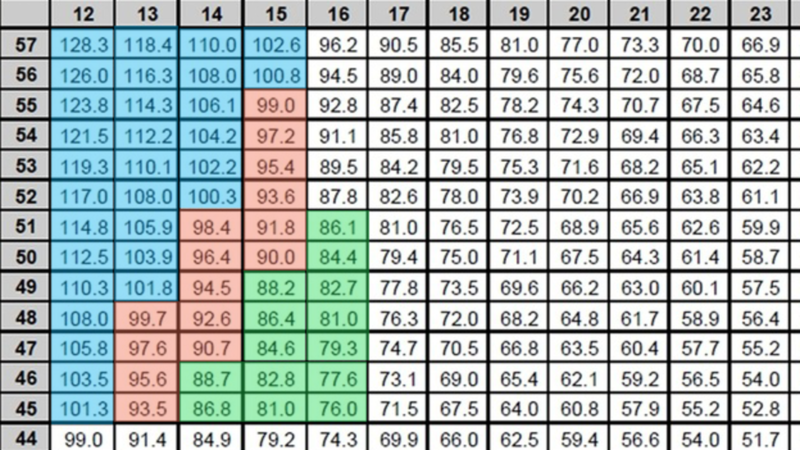 The cadence and speed chart (next to each other) whilst riding on a fixed gear is good. When a rider is still travelling quickly and is no longer recording a relevant cadence this, in our sport, is bad... Hopefully it just means a loss of data, as opposed to a crash. 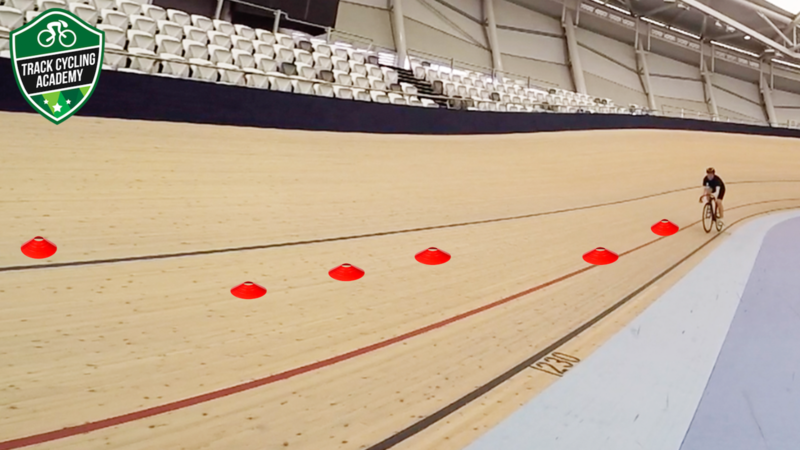 If you’re a sprinter and accustomed to following a motorbike as you complete flying efforts around a velodrome, than you’ll attest to just how fun this type of activity is. But are motorbikes imperative to cycling performance? 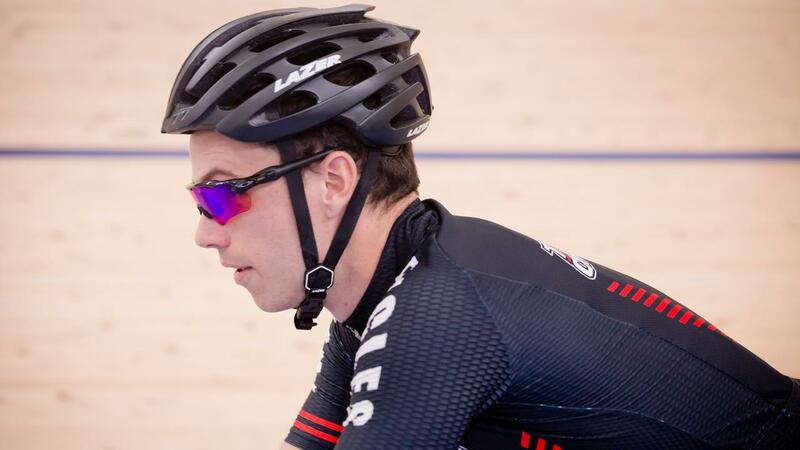 Whilst they’re a great training tool for overspeed efforts, utilising the motorbike isn’t imperative to cycling performance and in this blog we’ll explain a few reasons why. First, lets talk about how motorbikes are used on the track. In sprinting, motorbike lead activities can include activities such as motor-jumps, motor-paced gradual accelerations and motor-paced flying entries (to name a few). 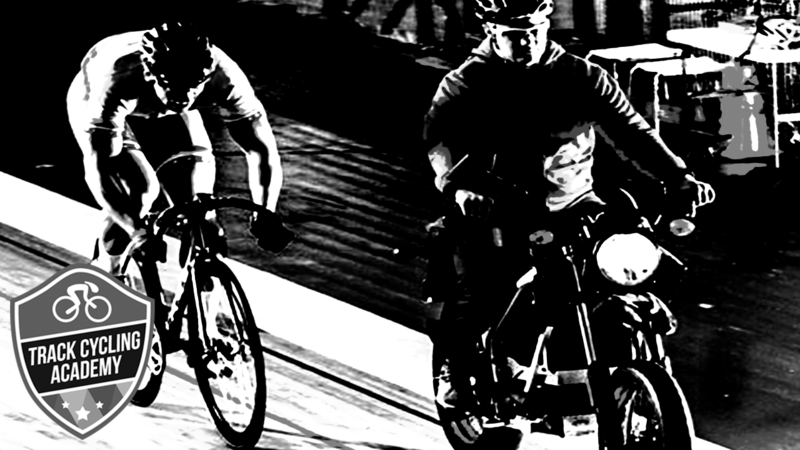 The motorbike leads the cyclist around the track and thus deflects most of the air resistance, allowing the cyclist to maximise their speed (ride faster than they would without the motorbike) due to minimal aerodynamic drag. 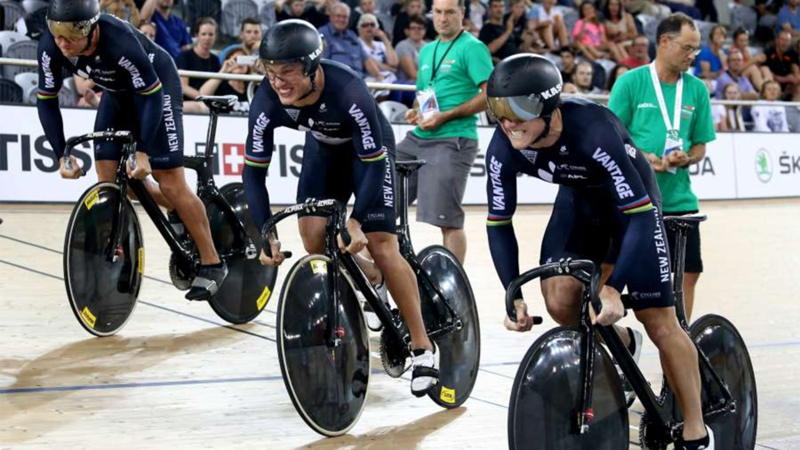 Sir Chris described the amazing performances by Jeffrey Hoogland, Matthew Glaetzer and Theo Bos, all of whom rode their 1km (called the kilo) time trial in under 1 minute at the World Championships. 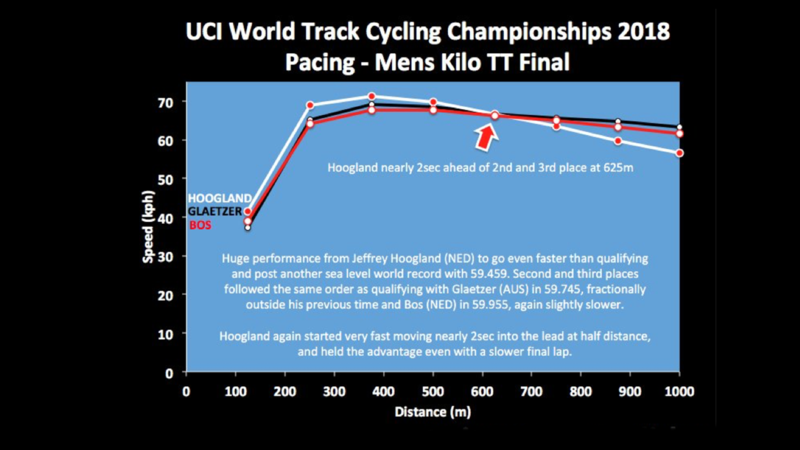 Jeffrey Hoogland’s 59.459 is a sea-level world record and won him the gold medal. The eight points on the graph represent the half-lap splits. It shows that after one full lap not one of the three riders is up to the maximum speed achieved as the point at 375m is the highest, leaving two-and-a-half laps of reducing speed. Reducing speed, slowing down, sounds a lot more relaxed than any ride averaging over 60kmh could possibly be. 3 Tips to Maximise Your Training & Perform at Your Best! How do I fit all of the training elements into my program throughout the season and perform on time? In this blog, we will offer you 3 fundamentals of training to help ensure you tick the boxes at the right time to enhance performance. The same principle applies when it comes to planning and executing your training. 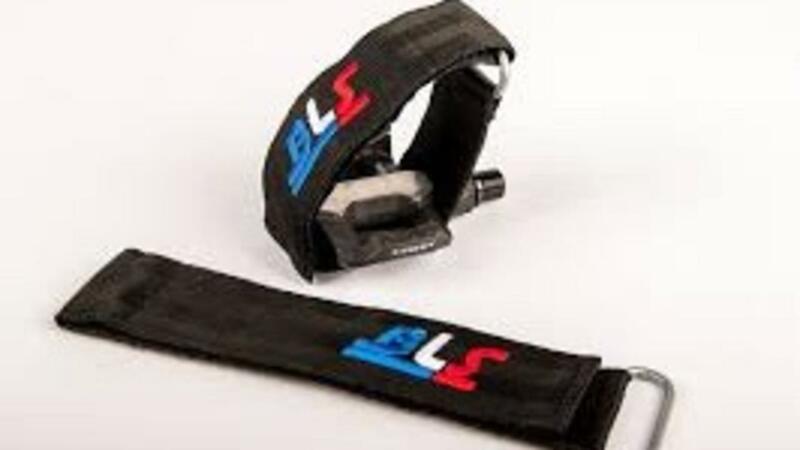 Regardless of whether you're a beginner or experienced track cyclist, the talk of toe-straps is of importance to everyone! Think of it like this… when you’re following an opponent around the track in a race and it’s time to accelerate quickly, you want to engage and maximise your power line as efficiently as possible. That is, the line in which you can transfer all the power your body generates into the pedals, as fast as possible, so you can quickly accelerate your speed. An important area that tends to get over looked is your cycling shoes! When you think about your foot in your cycling shoe - is it a snug fit? Or is there room to move your foot up and down, or side to side? In this blog we want to chat briefly about angles and speed and what happens to your centre of gravity respectively. Plus we want to offer a few tips on what you can do to enhance your technical riding skills. 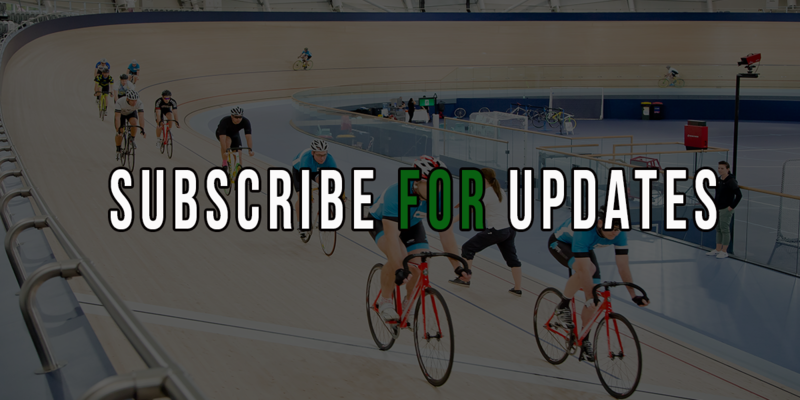 When riding at slower speeds, particularly in the bends, your pedal clearance is reduced and the angle in which your tread is making contact with the velodrome's surface changes with the speed that you're travelling and the angles of the track (bends and straights). If you plan on reducing your speed that you're travelling on the velodrome, be mindful when making sharp turns to ensure your tyre tread remains in contact with the surface, and pedal contact with the track is minimised. The way in which you grip your sprint bars is important as it can mean the difference between winning and losing (particularly when races are won and lost by thousandths of seconds). 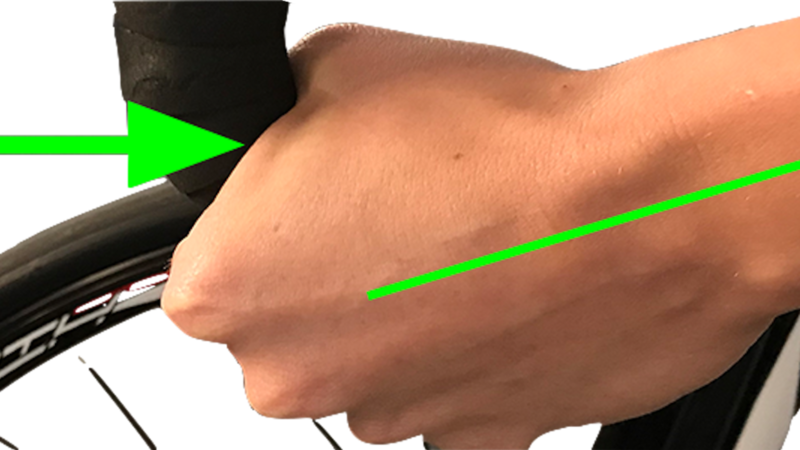 Incorrect grip position can also leave you in a stalled position in race attacks where you lose fractions of seconds whilst regaining a strong hold before accelerating with race bunches, or handicapping your ability all together in maximising peak forces. There is a correct way in which you should be gripping your bars and this will make a big difference to your performance, say for instance in time trial events where you need to get out of the gate fast leaving no time for readjusting hand positions before taking off. The below image highlights the correct grip for a sprint bar setup. The hand is in a neutral position and the forearm is flush (runs smoothly through the back of the hand). Understanding gear ratios is something that is usually taught very early in the piece for a new track cyclist. 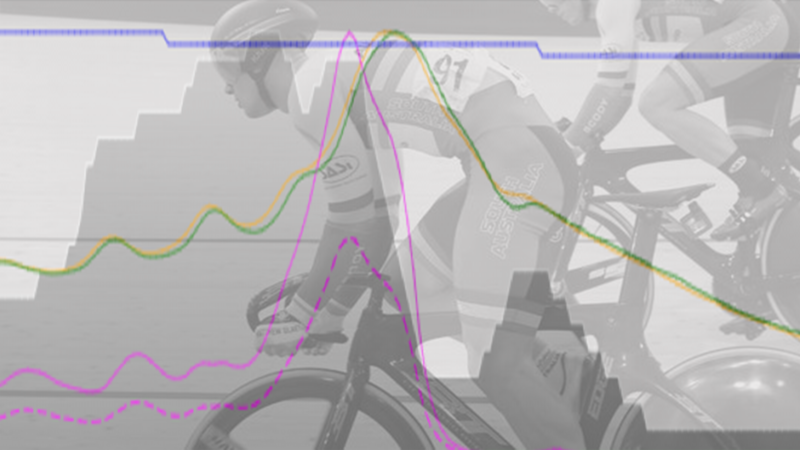 Gearing plays a significant role in race and training performance and it’s every track cyclist’s goal to try and pick the optimum gear to match their physiology and pedalling ability across different types of races. Too big a gear and you’ll struggle to get on top of it, too small a gear and you’ll find yourself spinning out or struggling to find more at the pointy end of races. Specific Training versus Cross Training in Cycling. A Conflict or a Complement? Two things which we know are true according to science are these. 1. Specific training produces specific results. 2. Cross training is really helpful. Point one means that just because somebody demonstrates a high VO2max in a running test does not mean that they can match that VO2max score in a rowing test. Point 2 – not a direct scientific quotation, can you tell? – describes that by working muscles in a way which are different to those a track cyclist normally performs can help track cycling performance. So we have a conflict straight away. It remains true that a rower who performs a VO2max test and achieves a really high score is likely to achieve a higher than average score in a running test, for example. This is describing the generality of metabolic capacity meaning there will be a lot of overall, generalised, improvements in fitness from doing one activity which can be transferred to another. Visiting the gym (or setting up a gym at home) and completing a range of strength and conditioning exercises season round, should have a place in your training program as it really improves cycling performance, science has proven it. Strength and conditioning can mean a number of exercises which will vary depending on the individual goals, strengths and weaknesses of every cyclist. One area of strength and conditioning we refer to is plyometrics. 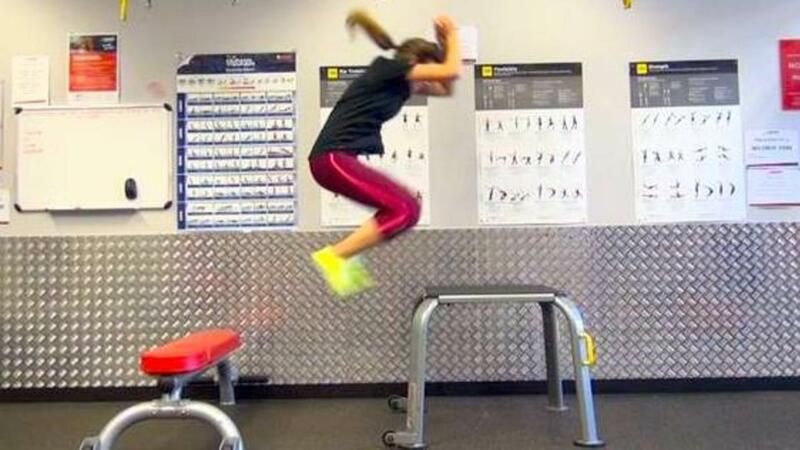 Plyometrics are primarily jumping exercises which are focused on enabling your muscles to exert maximum force fast. Whilst pure strength exercises will help you push bigger gears, pushing bigger gears fast requires power and speed elements and that’s where plyometrics enter the equation. In addition to enhancing balance and coordination, plyometrics enable your larger muscle groups to work with synchronicity which are benefits that you don’t usually get from standard lifting regimes.